St Michael and All Angels Church is the Parish Church of Wilmington, in North West Kent, England. Wilmington lies on the River Darent between Dartford and Sutton-at-Hone. The original St Michael and All Angels Church was a Chapel of Ease. It was attached to St John The Baptist Church in Sutton-at-Hone and was included in the grant made by Bishop Gundulf to the Cathedral Priory of St Andrew in Rochester in the early years of the 12th century. Nothing of this original chapel remains. It has been speculated that the church was rebuilt after the grant by Bishop Gundulf. 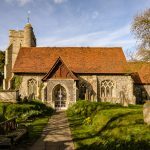 Like many of the churches along the River Darent Valley, St Michael and All Angels Church is located on higher ground to avoid damage from flooding. The church is located on a rise in the landscape to the north of the village. The oldest part of the church is the west wall which also constitutes the base of the tower. This is believed to be the west end of the original nave. This piece of history has, unfortunately, been covered in pebble dash. The two buttresses, which date from an expansion in the fourteenth century have been uncovered. These buttresses were added when the bell-cote and perhaps the spire, were first added to the church. The tower retains two of the original Saxon windows. The church underwent many changes and additions throughout the years culminating in an extensive rebuilding in 1884 by Ewan Christian. Christian was not regarded as a great genius in the architectural world. His church restorations were referred to as “ruthless”. In one instance, his work was labeled a “horrible restoration” leaving the exterior “maimed and valueless”. These comments did not refer to St Michael and All Angels, although they could well have. The pebble dash finish as well as the different building styles and materials do not reflect a homogeneous design. 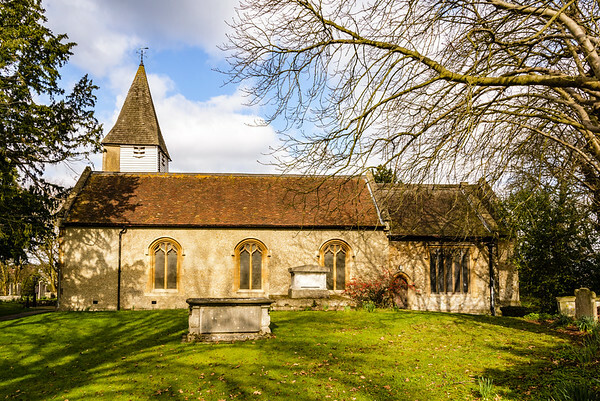 Contrary to my dislike of the rebuilding, St Michael and All Angels Church is a Grade I Listed Building on the National Heritage List for England (NHLE). The County of Kent has more buildings listed than any other County – over 17,000. Quite a few of these are of Grade I (383) indicating the County’s historical significance. 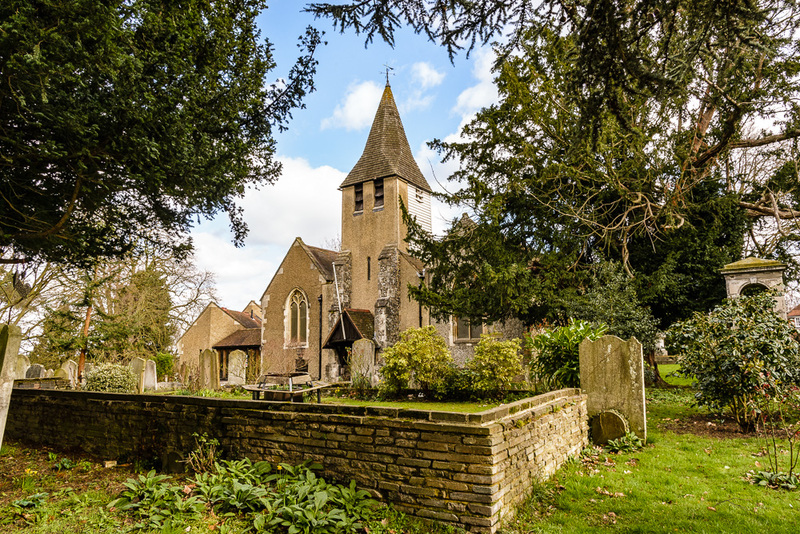 St Michael and All Angels Church is the Parish Church of Wilmington, in North West Kent, England on the River Darent between Dartford and Sutton-at-Hone.